First on the Common Office Injuries and How to Prevent them list is slip and trips. In most offices, things will be changed all the time and new electrical appliances, machinery, tools, etc and they all have their long and irritating wires, and sometimes we just can’t help it and they have to be right on the floor, but if it is not something like this, sometimes our colleagues might spill some liquid on the floor, or if we are walking down the stairs, we might fall. All of these can happen anytime and we will surely get injured by it. We must always keep everything in order as much as possible, if we spill something, clean it up, etc. First on the common office injuries and how to prevent them list is the workstations! Working can be a really boring and tiring thing, especially for those who do things by simply sitting in front of the computer, we are inclined to just lean forward, sit in an awkward position, but this is really bad and many employees suffer from musculoskeletal disorders, many of these pains and injuries are caused by having unsuitable desk layout, and an uncomfortable chain. 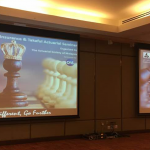 If it is our work area, we need to ensure it suits is well and that we are very comfortable to ensure that we don’t get into any injuries or perform at peak levels. 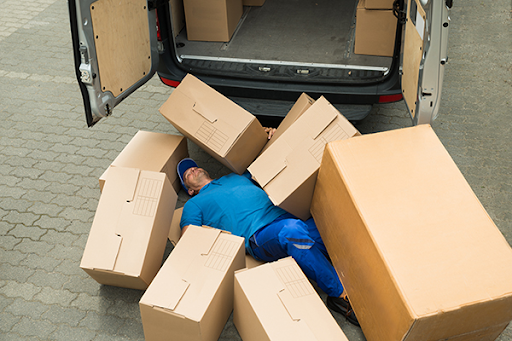 Next on the common office injuries and how to prevent them list is lifting objects. There are many people who work in a very physically draining jobs, such as lifting heavy objects and transfering from place to place. Lifting heavy objects can seriously hurt our back, especially if we do it so often and we fatigue ourselves, and then we just lift without doing it properly, we can seriously injure our spine and our knees, and spine or knee surgery can cost a whole lot of money. One of the other Common Office Injuries and How to Prevent them is that we need to be wary of is falling objects. There are many objects that are elevated in an office, I might not be able to name any of them but there will be some, and this can seriously hurt someone if something heavy were to fall on someone’s head, it can cause a concussion or worse, even cause death. So we need to be careful, make sure that things are always placed properly and are secured. 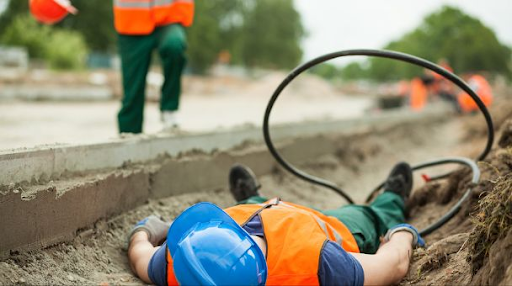 Next on the common office injuries and how to prevent them is electrical accidents. There are lots of things we need to use when we are at the office and most of these things are powered by electricity. Just as often as this, if we are not careful, we can get ourselves electrocuted as well and getting electrocuted can do a lot of damage to our fragile bodies. To avoid this, we just need to do simple things like ensuring that we don’t have wet hands when using the appliances, and make sure all electrical appliances are always in good working condition before using it. 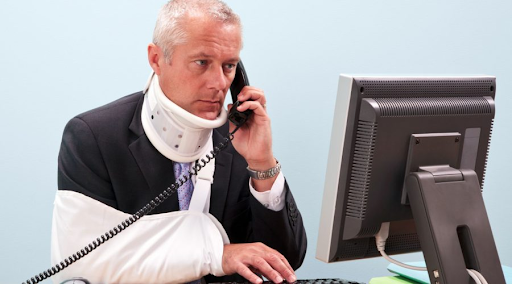 These are the top 5 common office injuries and how to prevent them. As you can see, there are many things that can cause severe injuries to us, and these are the things we often overlook and if it does happen, it will never be expected, but now that you know what kind of danger you are in everyday, it is right to take the necessary precautions to ensure that you are safe at all times and if something were to happen, you would not need to pay a ridiculous amount of money for your medical bill. 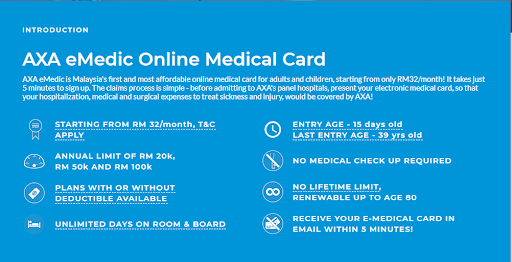 AXA eMedic is offering medical card starting from the price of RM 32/month, it is one of the cheapest in the market, visit PolicyStreet.com to find out more about this product.